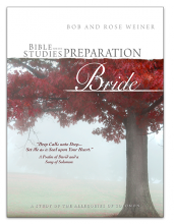 Click the button below to add the Bible Studies for the Preparation of the Bride to your wish list. Bob and Rose Weiner present a series of studies on the symbolism and imagery of the Song of Solomon, reflecting the historic position of Christ and His love for His bride, the Church. According to Jewish rabbinical tradition and the teaching of the Church Fathers, Song of Solomon is an allegory revealing at its deepest level the love that God has for His redeemed people. The Ancients held that this book is the Song of Songs in the same way that the holiest place in the tabernacle was the Holy of Holies. This Song of all songsholds “God’s wisdom hidden in a mystery.” Its imagery is meant to teach and help us understand the deep union to which Christ is calling us. Matthew tells us that “in parables are things hidden from the foundation of the world.” (Matt. 13) Paul tells us that God’s wisdom is “hidden in a mystery.” Does God want His wisdom to remain hidden? No, He wants us to search out the bibles symbolic language and inquire about its meaning. He wants us to search for His wisdom as for silver and gold silver and gold. If we will do that, His word promises us that we will find it. The Song of Solomon is a book wholly given to imagery. Hidden in this book are some of the Bible’s deepest and most beautiful truths. To understand the images in this Song, it is important to understand how to interpret the Bible’s symbolic language. You will learn from this study that the Bible is not silent about the meaning of its symbols - in fact, it is like a dictionary defining and interpreting itself. In this study, you will have the opportunity of digging deep into some of the Bible’s most unusual symbols to contemplate their meaning. You might be thinking, Who in the world talks like this? Who would think that a woman who has a neck like this wis beautiful? Yet, it is just this strangeness that is a “tip off” that something is hidden there - it is a clue that marks out a special hidden treasure. It is not meant to be glossed over. However, only the truly hungry will take time to seek it out. If we ponder this passage for a while, we will begin to realize that it is rich in biblical imagery. In fact, it should evoke a whole series of biblical images. For example - lets consider what neck means in the Bible. Those who resist God in both Testaments are called “stiff-necked.” Proverbs says, “If we hear our father’s and mother’s teaching and do it, it will become “an ornament to our neck.” This neck has ornaments, “shields” to be exact. So the bride represents a person who is submissive to the will of God and a “doer” of the word. The neck of the bride is said to be like a tower. The first tower we see in Scripture is the tower of Babel - built out of man’s disobedience to God. Other passages refer to the Lord as “a tower of strength.” Also “the name of the Lord is like a strong tower.” From this we see that the Bride is a person who carries God’s name (Jesus) and knows its power.The bible says alal power in heaven and earth is in the name of Jesus. God is her refuge and strength against the enemy. We will not go further, but time should be taken to consider the rows of stones, the meaning of the shields and of David’s mighty men. This and a multitude of other images are dissected to make this study a treasure trove of spiritual riches. When you have completed this study, you will never be able to read the Bible in a flat way again. As you learn how to interpret biblical symbols and tune in to the Spirit’s revelation, you will be treated to a spiritual feast. You will learn that Jesus is seeking for those He can call His friends, those with whom He can share His life, His thoughts, His plans, His power, and His throne. He is seeking for those who will be one spirit with Him. In short, He is seeking a Bride. Learn how to experience the living Presence of Christ and the fellowship of the Holy Spirit that Jesus has poured out for us to enjoy. “I must tell you that I am so thrilled right now! 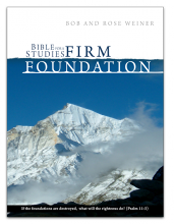 Your study, Bible Studies for the Preparation of the Bride, transformed my relationship with God. It was at the perfect time in my life. It was right during Jr High when the pressure to conform was so great. My Mom gave this study to me and we went through the study together as part of my schooling...I was home schooled. I can't begin to tell you how precious it was to me. I am 26 and I am still loving and serving God and I am going through this book again! I work now in the full-time ministry and have a heart for the youth. I just could not pass up the opportunity to thank you. My life and relationship with God has been so enriched. I recently completed leading a group in the study Preparation of the Bride. It was the best study I have ever done. I got so much insight into the meaning of Song of Solomon. 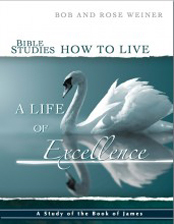 I have committed to memory many of the verses from this book and some of the wonderful cross referenced verses, too. My life has been enriched. While some of this one may know and I even questioned myself on why I was doing it, when I did I manage to just find nuggets of gems in it. I love how some of the things I questioned was knitted together to help me understand where the authors were coming from. I only rated 4 since I have not been able to finish it as of yet but I have to say I would recommend bible study groups especially in churches that they should really give this one a shot. I suspect by the time I'm done I probably would rate at a 5 star. I think much can be embraced and gleaned from this material and refreshingly surprising and definitely intriguing. Words cannot describe how Blessed I have been by this bible study! I compare it to an archeological dig where you find God's hidden treasures in his word. Every intricate detail of God's Word has a meaning and every detail fits together like a puzzle. Bob & Rose Weiner have done an excellent job of showing us in God's Word, what God says and not a man's translation of the Word. The Word comes alive before your eyes! Ephesians 1:17-19 becomes reality through doing this study! I am leading a group of 9 women in this study and every one of us has expressed how much we absolutely LOVE it! From the youngest to the oldest, we have all been brought to a deeper understanding through this study.